I recently read an article by Karen LeBat writing for The Berg Fashion Library entitled “Bicycle Clothing”. 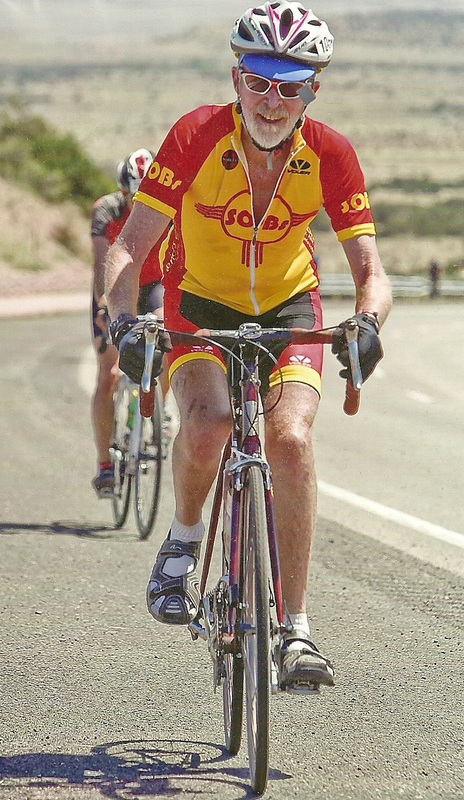 This caught my eye since my husband is an avid cyclist. Here in Santa Fe cycling is very popular as the weather is generally conducive to the sport throughout the year. LeBat wrote of early cycling (mid 1800’s) clothing problems for women and Victorian notions of femininity and modesty issues. 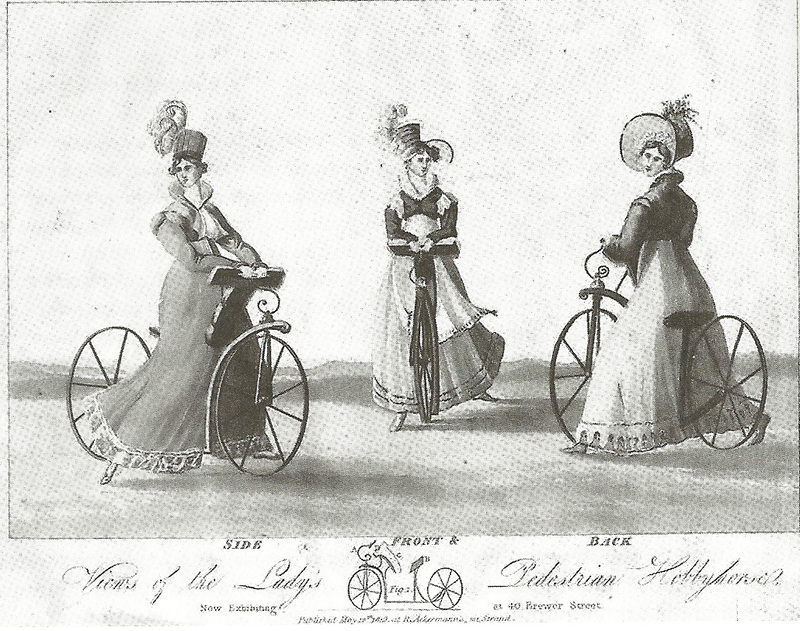 I actually found a print by Rudolph Ackermann (1819) of women astride English bicycles with drop seats allowing female riders to wear their long skirts. Ackermann was a London print maker and businessman who established The Print and Picture Emporium at 101 Strand, London. Coincidentally, Ackermann also dabbled as an inventor and patented mechanisms for carriages. He also obtained patents for various bicycle components, although it is not clear that he actually invented these components or merely bought the patent rights. By the late 1800’s women’s fashions introduced knickerbockers also known as “bloomers” named after Amelia Jenks Bloomer an American reformer. “Bloomers” were loose, boxy trousers, gathered at the ankle or knee and worn by women and girls for participation in athletics. Men’s cycling clothing consisted of vests with insignias of their racing clubs worn over long shirts. Special shoes and headgear soon appeared.